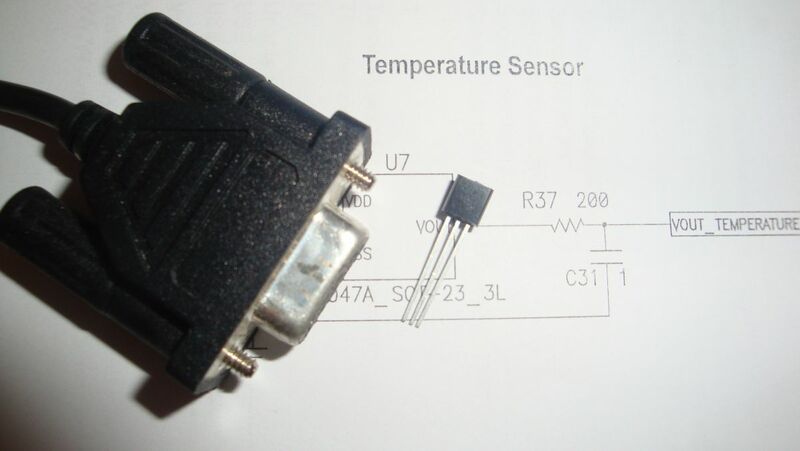 LM35 temperature sensor. A cheap and reliable sensor that can measure temperature on Celsius scale. 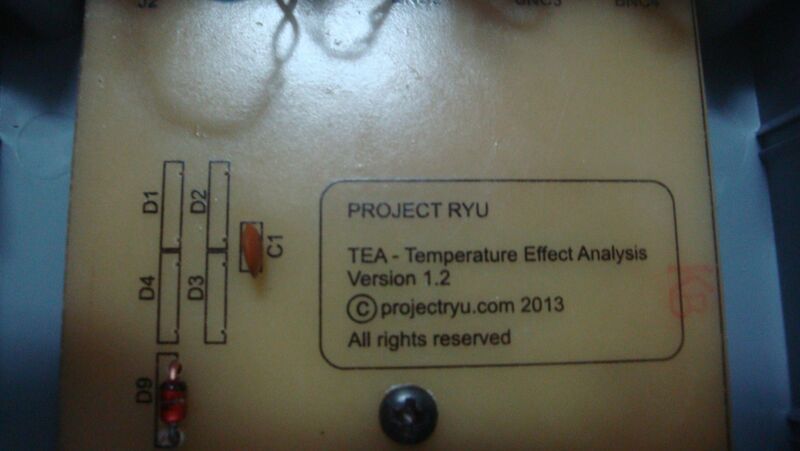 Connected to a DB9 plug to be used with TEA. 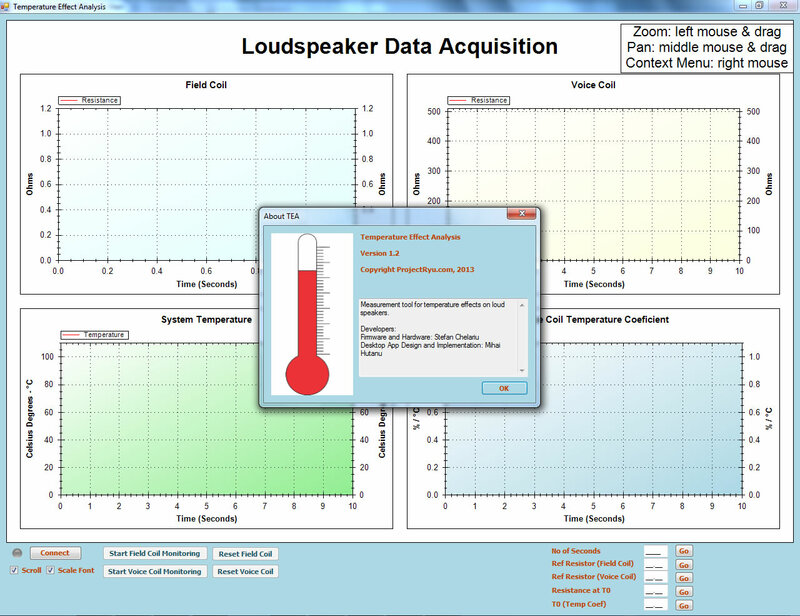 I want to present a tool I developed for monitoring temperature effects on loudspeaker performance. 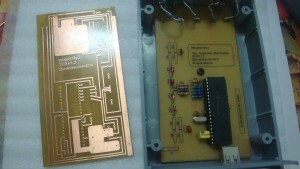 It is built around PIC18F4550 microcontroller from Microchip and it connects to a PC via USB port. Desktop application was programmed in C# by one of my partners. 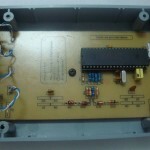 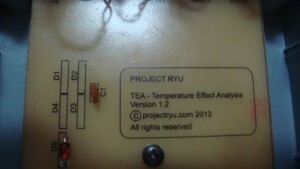 The tool uses a reference resistor to calculate the changes in field coil and voice coil resistance. 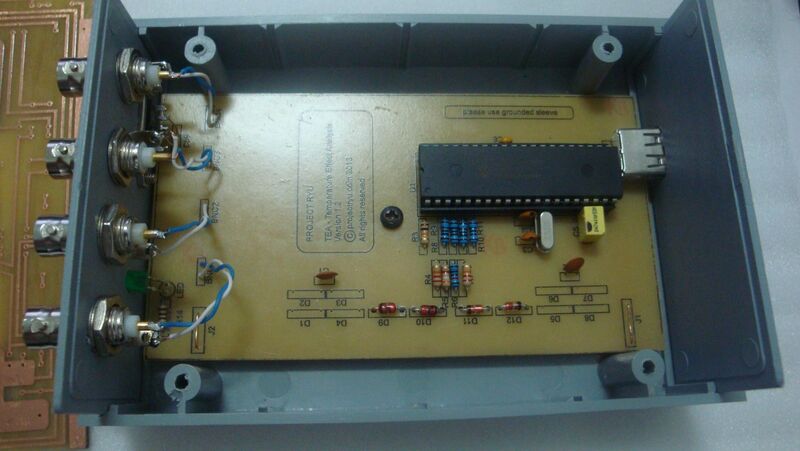 The voltage captured is fed into the 10 bit ADC on the microcontroller. It is also equipped with a LM35 temperature sensor in order to calculate the voice coil’s temperature coefficient. 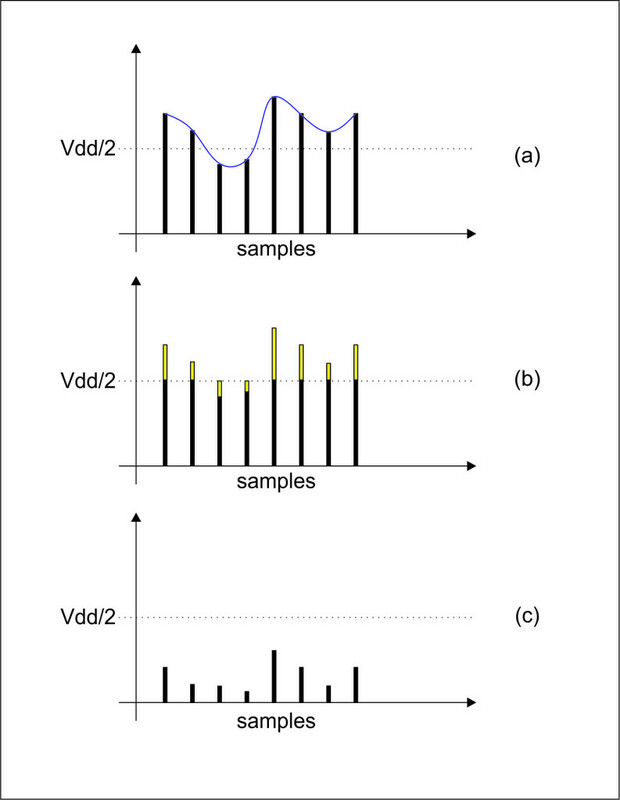 This parameter can be used to predict power compression. 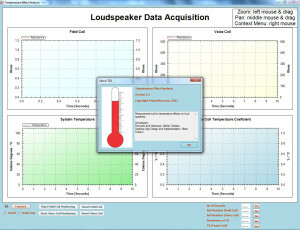 The Desktop application will display graphs showing the time variation of four parameters. 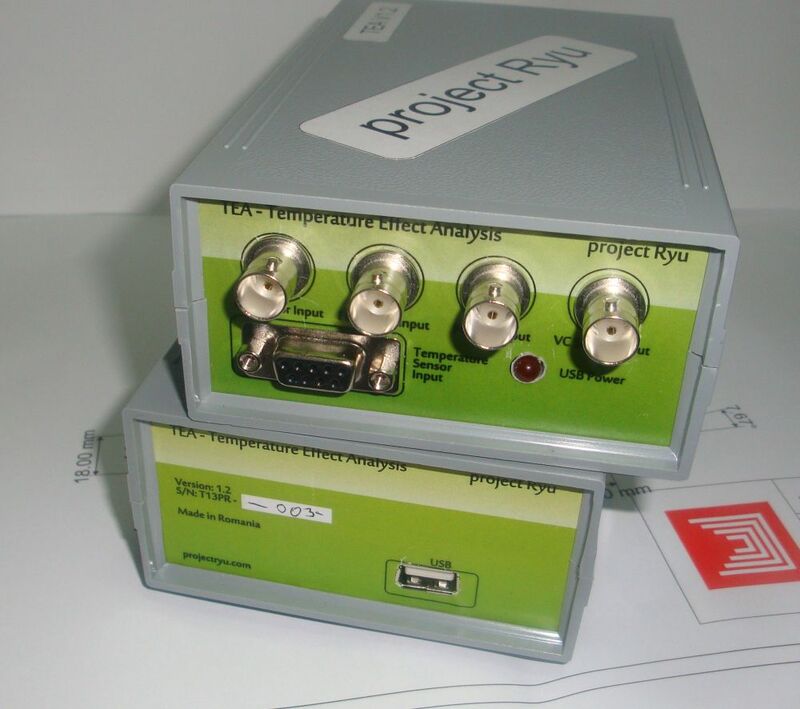 Data can also be saved for further processing.